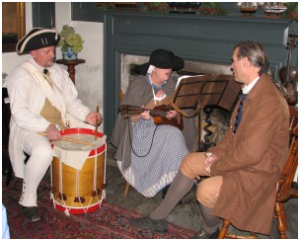 Join the fun at “A Colonial Dinner in New England” and enjoy a unique Colonial-era inspired dining experience at our 17th-century house museum on November 14, 2015, Saturday, with one seating at 6:30 p.m. 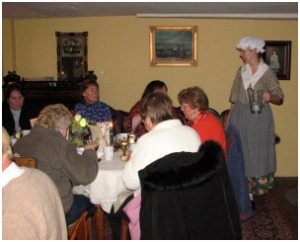 The dinner will be prepared and presented by members of the Historical Society of Smithfield, dressed and in character as 18th-century Colonists. The cost for the dinner is $35 per person. Reservations are required, and the dinner is always a sell-out. Call: 401-231-7363 or email: contact@smithapplebyhouse.org.